Roofs can be a headache and difficult to locate the origin of leaks and points of possible leaks. Leaking roofs, poor drainage, and clogged gutters and downspouts can lead to significant water damage inside your home. This is why it is important to get an accurate roof inspection report regularly, both for the inside and outside of the roofing structure. It is very simple to inspect a roof from the outside as long as you have a good unobstructed viewing point on the rooftop. The following checklist of problem warning signs will help you look for any potential problems during an outside roof repair inspection report. 11. Blisters, depressions near vent pipes, separations in flashing, and clogged drains on flat roofs (pop blisters with a knife and coat them with roofing cement to prevent further damage; depressions can also be filled with roofing cement). 5. 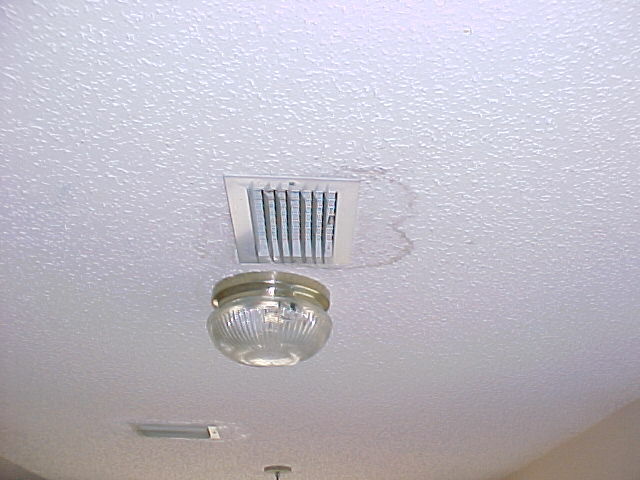 Signs of water damage or leaking (usually in the form of water stains, or sagging ceilings due to an active leak or condensation from poor roof ventilation). Gas vent stacks sitting at an angle can cause them to leak. 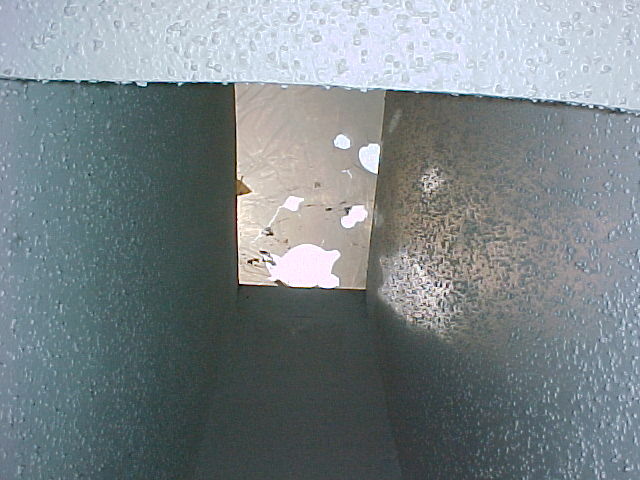 Your professional inspector thoroughly examines the interior of the structure as well as at roof level, This skylight was missed by another inspection company. We caught it and brought it to our client’s attention. This roof is an overlay roof with 3 layers. The roof structure was sagging and had cracked rafters and purlin braces. The buyer had no idea of the problems and these conditions had been overlooked by another inspector and roofer. Is the air duct causing condensation or is the roof leaking? We can tell the difference. We examined the attic area and the roof directly above this area and we were able to determine that a soil stack boot at roof level was not sealed, causing this ongoing ceiling damage. Your inspector evaluates the roofing material and flashing. Just because the roof has been this way for 10 years it sill should be repaired if the flashing has been installed improperly. The transition flashing is installed on top of the shingles. 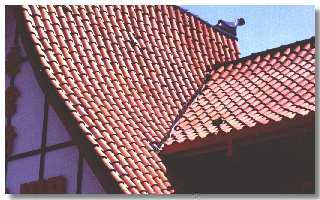 Cement tile roof have their own problems, should be examined closely row by row. We check all rain shields and flashing carefully. The rain shield diverter at the gas vent stack is slightly raised from where it should be at the top of the flange base of the stack boot, is leaking and has been for a long time. We do more than just look at the roof. All items at every property are examined very closely. And, our inspectors realize that the most important part of any evaluation is the structural Integrity. These items are constantly evaluated and considered. Your inspector will be giving the top 8 the closest attention and emphasis to our clients. Your inspector will spend more time explaining and pointing out these items. You will walk away from the inspection having the full perspective and full information on these important aspects. Don’t settle for a quick inspection and no specific information about these top 8 items from some another inspection company.